Hof, who died on Oct. 16, beat his Democratic challenger Lesia Romanov by a landslide. 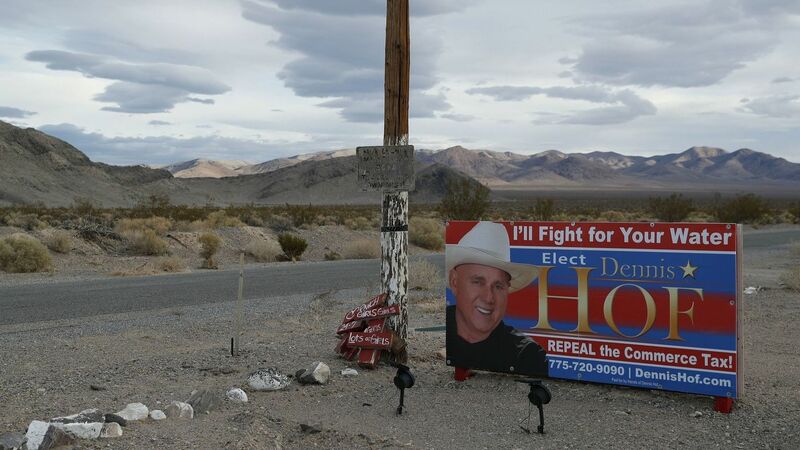 Dennis Hof, the famed legal brothel owner and reality TV star, won a seat in Nevada’s state assembly on Tuesday despite dying last month. A Republican candidate for the Nevada Assembly’s 36th district, Hof’s name remained on the ballot despite dying on Oct. 16. He won 68.3 percent of the vote in Tuesday’s election, beating out his Democratic Party opponent Lesia Romanov in a landslide. The state’s Republican party has previously said it will appoint someone to serve in Hof’s place. Prior to his passing at the age of 72, Hof pledged to run and serve as a Republican candidate very much in the Donald Trump mould. He died a few days after a birthday bash he threw for himself which saw the likes of controversial former Arizona sheriff Joe Arpaio, pornstar Ron Jeremy and musician Flavor Flav attend. The larger than life owner of a string of legal brothels in Nevada, Hof came to national notoriety with the HBO reality show Cat House, which followed the daily goings on at the Moonlight Bunny Ranch and aired from 2002 to 2014. In 2015, Hof released an autobiography titled The Art of the Pimp, a play on the title of Trump’s famed book The Art of the Deal.